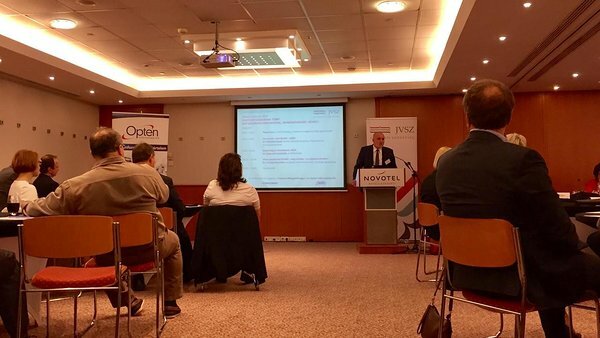 We attended a conference last week about macroeconomic issues, organised by Joint Venture Association. The lecturers spoke about the current trends of growth and unemployment in Hungary, and they found that the era of growth through using more and more human resource is about to finish since there is practically no more available workforce. The unemployment rate dropped from 12% to 4%, meaning that nearly everybody works who wants to work and employment is possible. The key factor for the next phase of growth is innovation. The productivity of Hungarian companies are still below the EU average. It means that the economy and the GDP could grow further if we utilise the available human resources more effectively. The way to it is innovation. Innovation in production, processes and organisations enables companies to make significant steps towards higher efficiency, increasing production/sales and better profitability. Innovation is an investment in any area of business that generates significant positive change in the operation. Good news that there is a lot of space for improvement in terms of efficiency. Hungarian companies must strive for innovation and higher efficiency to keep and even improve the current growth level.